Each year, the Centers for Disease Control and Prevention (CDC) issue statistics on the leading causes of death in the United States, both as a result of disease and other intentional or unintentional acts. For the most part, the causes have varied little over the course of the past decades, the data of which is compiled exclusively from death certificates issued by physicians, coroners, funeral directors, and medical examiners. However, a 2016 study from Johns Hopkins University has thrown the paradigm on its ear by suggesting that the CDC model not only has its limitations but is gravely flawed in its ability to assess or even identify the role of medical error in causing death. By comparing national, in-patient death statistics with hospital admission rates, the investigators were able to conclude that nearly 10 percent of all deaths in the U.S. were a result of medical care gone awry. If correct, that would place medical error as the third leading cause of death in the U.S., far supplanting strokes, accidents, Alzheimer's, or even lung disease. In designing their study, the Johns Hopkins team noted that the traditional means of collecting death statistics rely on a coding system which was initially designed for insurance and medical billing, not epidemiological research. This code, called the International Classification of Diseases (ICD), was adopted by the U.S. in 1949 and is today coordinated by the World Health Organization (WHO) in Geneva. The ICD system was designed to map specific health conditions to a corresponding code, after which additional alphanumeric coding can provide insights into specific symptoms, causes, circumstances, and other abnormal findings. While the U.S. (like Canada and Australia) has developed its own adaptation of the ICD code, the system remains more or less the same as those used for global epidemiological research. It is these codes that doctors will use to classify the causes of death, which the CDC will then extrapolate for its annual report. The flaw, say researchers, is that the ICD codes used on death certificates fail to classify medical error as a separate and/or unique cause. This was due largely to the fact that the ICD was adopted at a time when diagnostic or clinical mistakes were under-recognized in the medical field and, as a result, unintentionally excluded from national reporting. The fact that the system hasn’t changed—and continues to tabulate billing codes for statistical research—directly skews our ability to not only identify but reduce the number of deaths attributed to medical error. Deaths caused by medical error is not a new issue, simply one that is difficult to quantify. In 1999, a report from the Institute of Medicine (IOM) spurred debate when it concluded that medical error was responsible for between 44,000 and 98,000 deaths in the U.S. each year. Several analyses have since suggested that the IOM numbers were low and that the actual figure hovered somewhere between 130,000 and an astonishing 575,000 deaths. These numbers have been widely contested as either being too broad in their definition of "medical error" or too narrow. Based on that definition, the researchers were able to isolate attributable, in-patient deaths from 2000 to 2008 from the U.S. Department of Health and Human Services database. Those figures were used to estimate the annual in-patient death rate, the numbers of which were then applied to the total U.S. hospital admissions in 2013. Based on that formula, the researchers were able to conclude that of the 35,416,020 hospital admissions recorded in 2013, 251,141 deaths occurred as a direct result of medical error. That is over 100,000 more than chronic lower respiratory disease (#3 cause of death) and nearly twice the rate of either an accident (#4) or a stroke (#5). While the researchers were quick to point out that medical errors are neither inherently avoidable nor indicative of legal action, they believe they do warrant greater research if only to pinpoint the systemic problems that lead to death. These include poorly coordinated care among health providers, fragmented insurance networks, the absence or under-use of safety practices and protocols, and the lack of accountability for variations in clinical practice. Many in the medical community are not so quick to agree. In some cases, the very definition of "medical error" has spurred debate as it fails to differentiate between a mistake in judgment and an unintended outcome. This is particularly true when it comes to complications of surgery or actions taken in patients with end-stage disease. In neither case could medical error be considered the primary cause of death, many argue. Others, meanwhile, believe that the same flaws in the IOM report plague the Hopkins study, wherein the weight of causality is placed more on the physician rather than on lifestyle choices that exponentially increase the risk of death (including smoking, overeating, drinking excessively, or living a sedentary lifestyle). 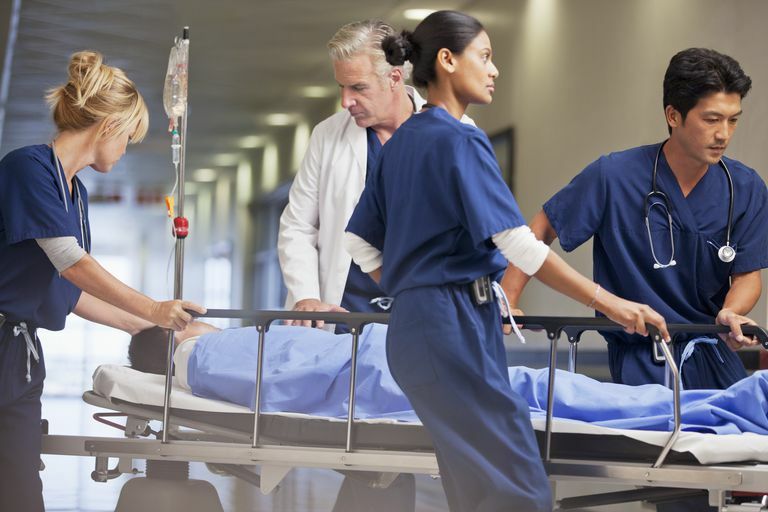 Yet, despite the ongoing debate over the veracity of the Hopkins report, most agree that improvements should be made to better define and classify medical errors within the context of a national review. By identifying these shortcomings, it is believed that the number of deaths attributed to medical mistake can be greatly reduced both among individual practitioners and on a system-wide level. Centers for Disease Control and Prevention (CDC). “Health, United States, 2015: Table 19.” 2015; Atlanta, Georgia; publication Library of Congress 76-641496; 107-110. Makary, M. and Daniel, M. “Medical error-the third leading cause of death in the US.” British Medical Journal. May 3, 2016; 353:i2139. Landrigan, C.; Parry, G.; Bones, C; et al. “Temporal trends in rates of patient harm resulting from medical care.” New England Journal of Medicine. 2010; 363:2124-2134.